Welcome to Bath Fitter. Find out more about who we are, what we do, and how we do what we do. Have a look around and be sure to checkout our career opportunities. It’s all here waiting for you to discover! To make people smile, everytime they see their bathtub. We’re looking for employees in our administrative, factory and retail divisions, who thrive on teamwork and professionalism. 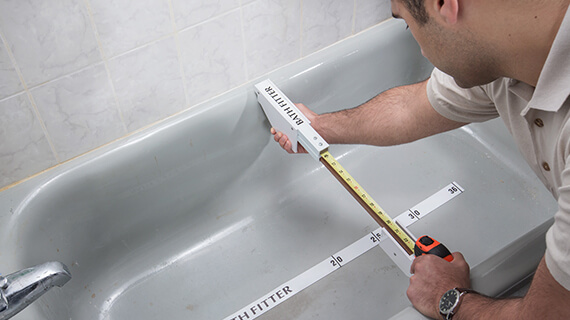 Our enthusiastic and resourceful team takes pride in getting it right, so that Bath Fitter products and customer service are second to none. If we’re on the same page, let’s connect. Everyone at Bath Fitter is provided with opportunities to move their careers forward through continuous training and personal development programs designed to help them achieve their professional goals. 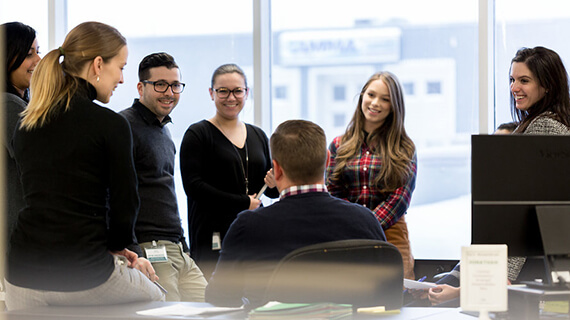 Through corporate programs, we not only recognize, but also reward employees for all the good stuff – teamwork, initiative, innovation, loyalty and dedication. Through corporate programs, we not only recognize, but also reward employees for all the good stuff – teamwork, initiative, innovation, loyalty and dedication..
Our customers love the work we do and are often amazed by the incredible transformation of their bath spaces. 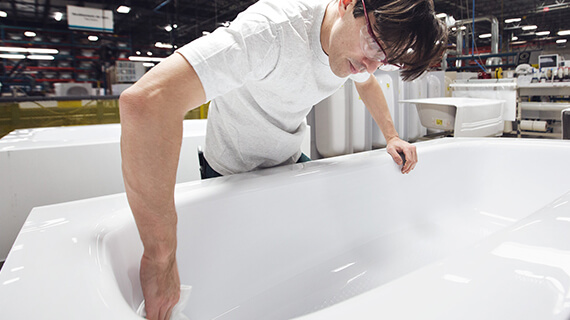 Careers at Bath Fitter are challenging, important and vital to the success of our reputation, product and work. Bath Fitter not only encourages difference-makers, but actively participates with employees who care and want to give back to their communities through helpful initiatives. As a member of the Bath Fitter team I feel empowered because I have a voice and my opinions matter. Knowing that I'm appreciated motivates me to do my best. Great culture, firm vision and core values that align with my personal beliefs. I enjoy working for Bath Fitter because it is a challenging environment. We are always evolving and learning new techniques to redefine home renovations. It is a very fun and rewarding company to build yourself a long lasting career. The company's values make Bath Fitter such a nice place to work! There is a great working atmosphere, excellent team spirit and the employees are really well taken care of. To top it all off, I simply adore my boss! If you need more details or information about our career opportunities that await you at Bath Fitter, get in touch.